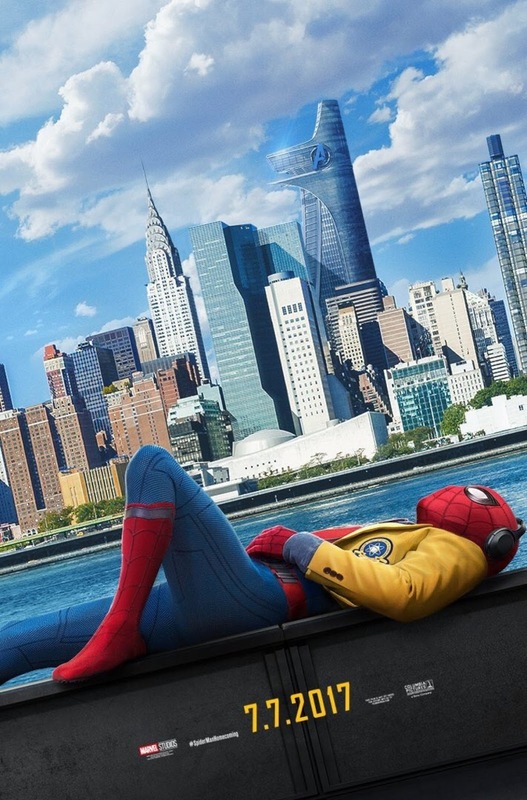 Starring: Tom Holland, Michael Keaton, Robert Downey Jr., Marisa Tomei, Jon Favreau, and more. Tobey Maguire dawned the suit in 2002. Next came Andrew Garfield in 2012. Now, we officially have a solo Spider-Man film that is not solely Sony but also split with Marvel Studios. The hype has been real for the longest time for Spider-Man’s homecoming to the Marvel Studios and finally, audiences all around the world are graced with his presence. Now how does it fare on the Oberrated scale? The original trilogy (not you Spidey 3) still has a special place in my heart and I even have some respect for Garfield’s Spider-Man but Tom Holland’s sure has the capability to take the crown. So here…we…go! It can be heavily debated who is the best Spider-Man in recent history but I can stand by this: Tobey was a great Spider-Man. Andrew Garfield was a great Peter Parker. Tom Holland is the whole package. I really enjoyed his performance as a whole. He embodied the teenage Spider-Man, had his quick sarcastic quips, and simply just wanted to fight crime with the powers given to him. It surely was a joy to watch. Casting choices all around were fantastic to me. Ned (Jacob Batalon) may have been my favorite and yes, him being Filipino had something to do with it! The wide and diverse cast captured and enthralled me every moment they were on screen. Michael Keaton, Donald Glover, Jon Favreau, Zendaya, Tony Revolori, simply everyone, they were all wonderful. A little focus goes to Michael Keaton as Adrian Toomes AKA Vulture. From the very get go, we get a strong understanding of where his allegiance lies and why he does what he does. As the film progresses, his character gets stronger with the new technology his crew develops but not only is this strength physical, it is personal. We watch his desperation and his motivation fuel his actions and what an experience it is. Safe to say, having the titan that is Keaton perform such a character helps a bit too. But alas, Marvel is not immune to my own personal critiques and I have one glaring problem with the film that affects its rankings among other superhero films. This issue was Spider-Man’s purpose during the film. SUPER MINOR SPOILERS AHEAD. So for an introduction film, there is always that driving force element that gives the hero purpose. Iron Man/Tony Stark was imprisoned, he needed to survive. So, he had the reactor in his chest keeping him alive and he created a suit to bust out and free himself. This sparked Iron Man’s purpose to fighting and surviving. Doctor Strange went on a personal mission to learn the magic arts in hopes to heal his irreparable limbs and bones. In that pursuit, he became Doctor Strange and gained his purpose; to defend the New York sanctum and ultimately fight for good. Beyond the two I just brought up, most other intro films have presented their respective characters with a driving purpose that can be believed. Now what is Spider-Man’s purpose with this introduction film? To prove to Tony Stark that he can be responsible with big missions and become an Avenger. Heavy and important stuff guys. A lot on the table, high risk. *sarcasm* What I am trying to get at if you cannot piece the puzzle together, the consequences and risks were not heavy for Spidey, unlike the many other heroes of the past. Tony said do not do it, Spidey did it anyway, and Tony was right 90% of the time. We watched a teenager making teenage decisions except this one happens to be a super-powered human spider. No big deal. ‘Spider-Man: Homecoming’ is the start to a Spider-Man universe most of us have wanted. Although split with Sony, Marvel Studios finally has their friendly neighborhood Spider-Man back and ready to take on the Marvel universe. With an array of famous villains surely to come, sparked by a powerful performance by Michael Keaton’s Vulture, Tom Holland’s Spidey is sure to have a solid future ahead of him as long as Marvel has control. Not the best all-around introduction film, in my opinion, but surely a strong one. It is a film many audiences can enjoy and also be hopeful for the future. Posted in 2017 Movies, Disney, Marvel, Movie Review.Tagged 2017, Chris McKenna, Christopher Ford, Erik Sommers, Iron Man, John Francis Daley, Jon Watts, Jonathan Goldstein, Michael Keaton, Movie Blogger, Movie Reviews, Movies, Robert Downey Jr. Marisa Tomei, Spider-Man, Spider-Man Homecoming, Spiderman, Tom Holland.